MEGA HIT! 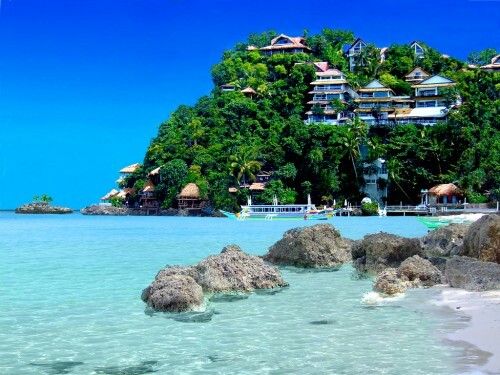 Super cheap flights to Philippines: Manila from Milan or Prague from €265! Wow this is crazy deal! The best airline in Europe, Turkish Airlines, now offers tickets to Philippines for insanely low price! 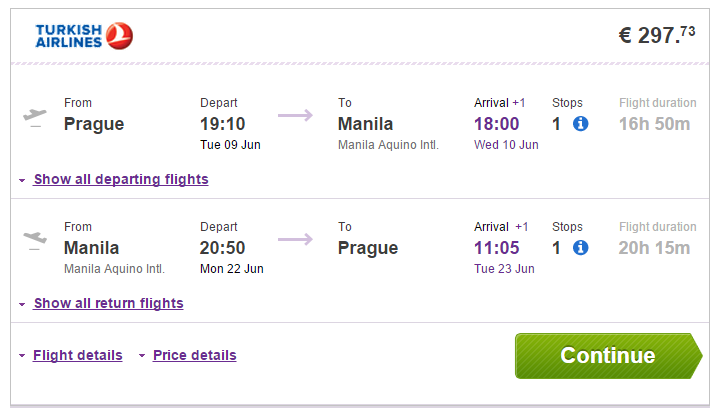 Return tickets from Prague to Manila are available for only €297! You can also fly from Milan to Manila for only €265! UPDATE 23.1.: even more routes! This offer is apparently an error fare so you better book your tickets ASAP before it’s fixed! Book fast through Vayama (click on Show extra search options to enter return to Vienna/Paris/Salzburg). anyone could make it work? « Cheap flights to Iceland: Reykjavik from Belfast for €76!